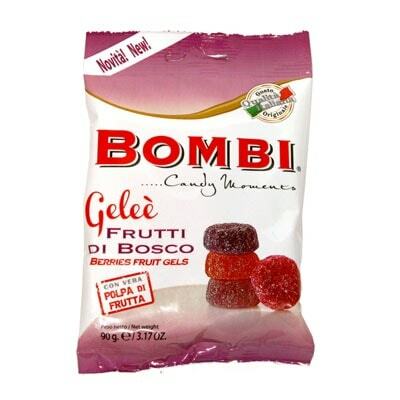 A pack of candied berry fruit gels from the Piemonte region, each candy is made with all-natural fruit pulp and fruit pectin. It has no artificial ingredients or coloring agents whatsoever. All 100% Natural Fruit Gels, it has NO harmful preservatives and that each candy was made from the best and freshest ingredients. A certainly much healthier snack choice than a bag of potato chips or any other junk food, don’t you think? After all, everyone knows fruits are packed with vitamin C and antioxidants. So what are you waiting for? Not only are they fruitfully delicious, they’re also 100% natural. Grab a bag now!